Halloween might not be for a while, but I have been cooking up some creepy creations lately for my kiddos! 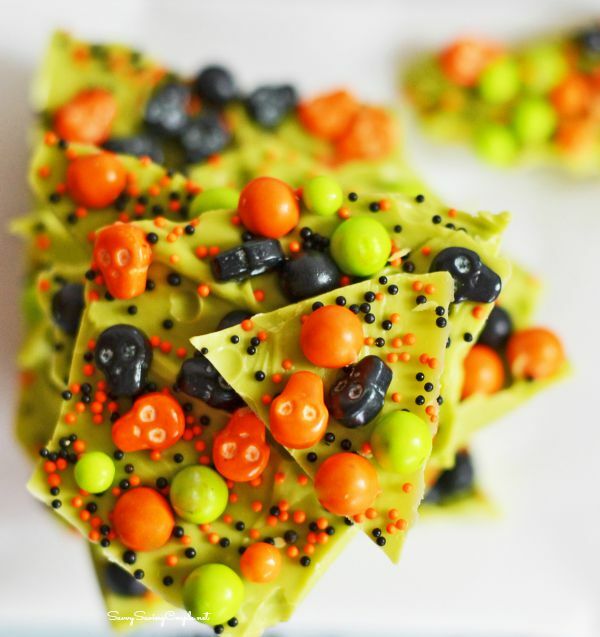 We love to partake in the spooky Halloween season by creating fun and colorful Halloween themed sweet treats. 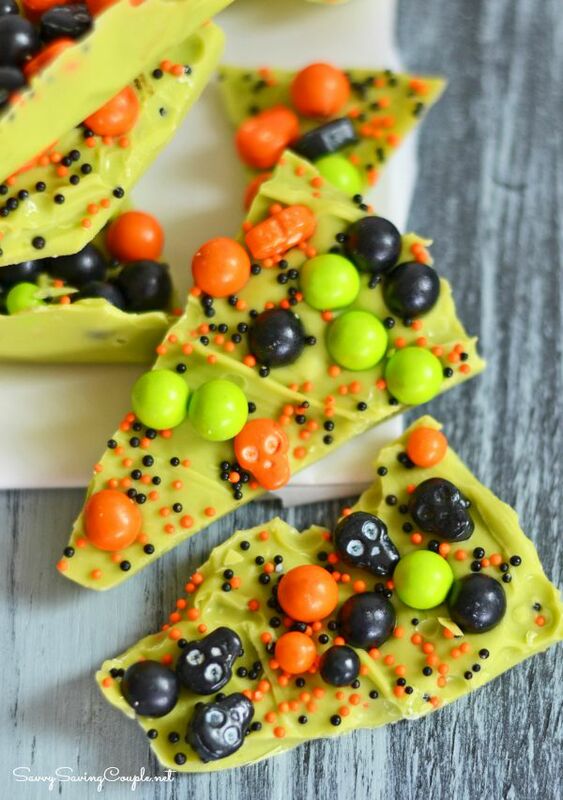 This 10 Minute Creepy Halloween Candy Bark was a breeze because I actually had some fresh Halloween candies from SweetWorks on hand from a project I had done earlier in the year. I love making candy barks because they are so darn easy and almost fool proof. The hardest part is probably making sure the chocolate base is the perfect creamy consistency. Too much heating and it can ruin the consistency of the chocolate. I did use the microwave this time but added a teaspoon of coconut oil to make the chocolate creamier. I do not love to microwave chocolate but it can be done, but carefully. You can only use 50% power, and you must melt in 25 second intervels–no longer! Between each interval make sure to stir the melts until creamy. I pour mine into a small parchment lined baking sheet and spread it evenly. Then comes the fun part–Halloween candies, and sprinkles! These little skull candies, and Halloween Sixlets are from SweetWorks. The tiny black and orange beads are from Wilton. I simply shake them over the top of my melted chocolate and then I use an additional clean piece of parchment paper to gently press the candies in somewhat. 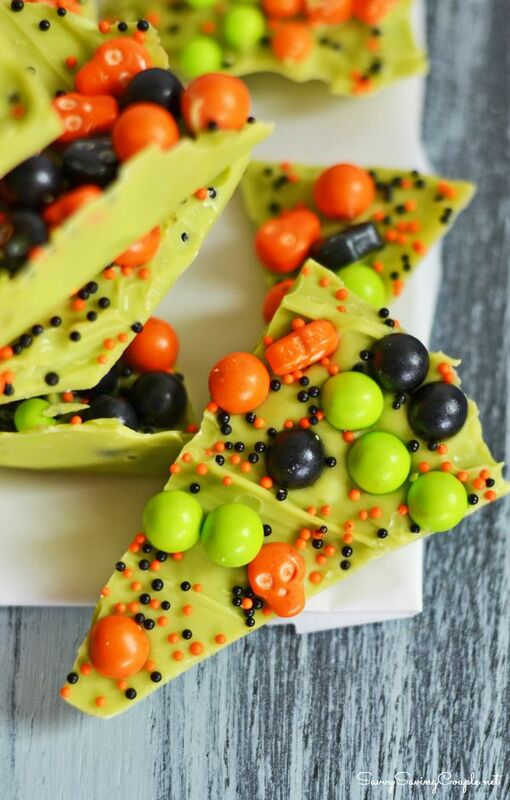 After the candy is in place, simply pop your bark into the fridge for 8-10 minutes and you are golden! 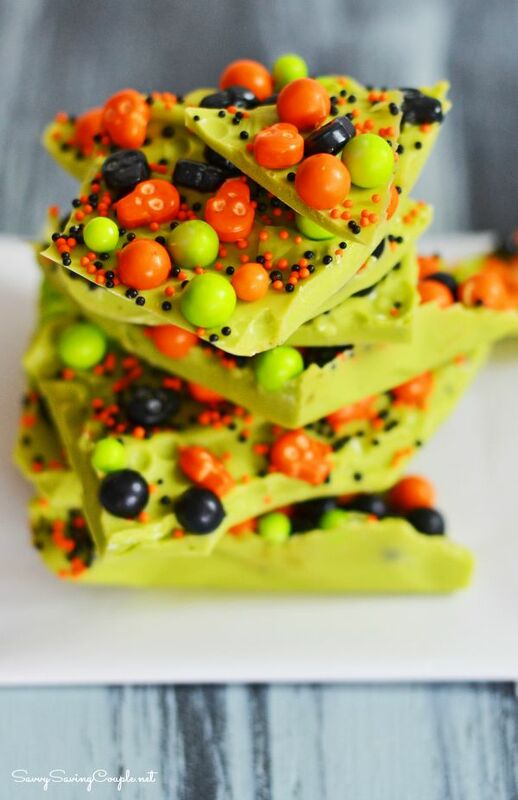 This Halloween treat in inexpensive, but looks super cool in little goody bags for parties. Of course it is pretty sweet, but the kids really loved it! 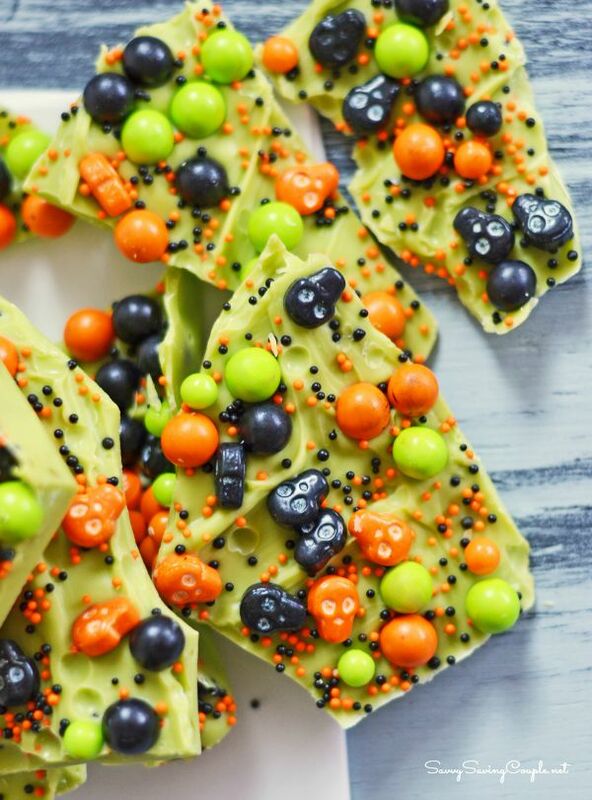 You can add pretty much any Halloween candy too!